RAPPAMELO (ARCHIVE) » Dam-Funk: How U Gon Fu*k Around And Choose A Busta (Over A Real Gangsta)? 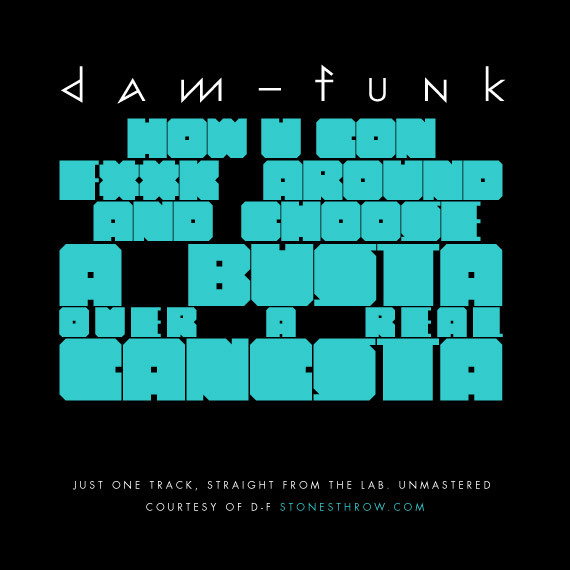 Dam-Funk: How U Gon Fu*k Around And Choose A Busta (Over A Real Gangsta)? another track from Dam-Funk, Dam-Funk’s free download/unreleased series are new, unmastered MP3 single tracks created & released by the man himself via twitter.com/damfunk.